The Pelican 1730 Transport Case is built for one-person mass transit. Pelican shipping cases are engineered for one-person mobility with its two double-wide handles and dual sets of polyurethane stainless steel ball bearing wheels for extended towing durability. The Pelican 1730 features nearly 14,000 cubic inches of usable storage space with stainless steel hardware and padlock protectors. 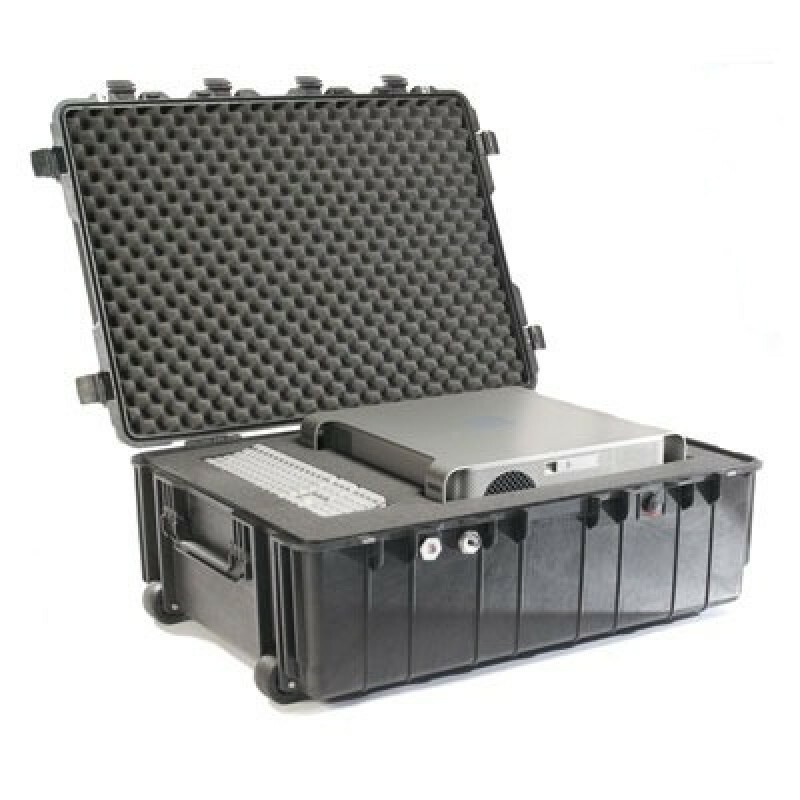 Pelican Case has an optional Pick 'N' Pluck interior foam. 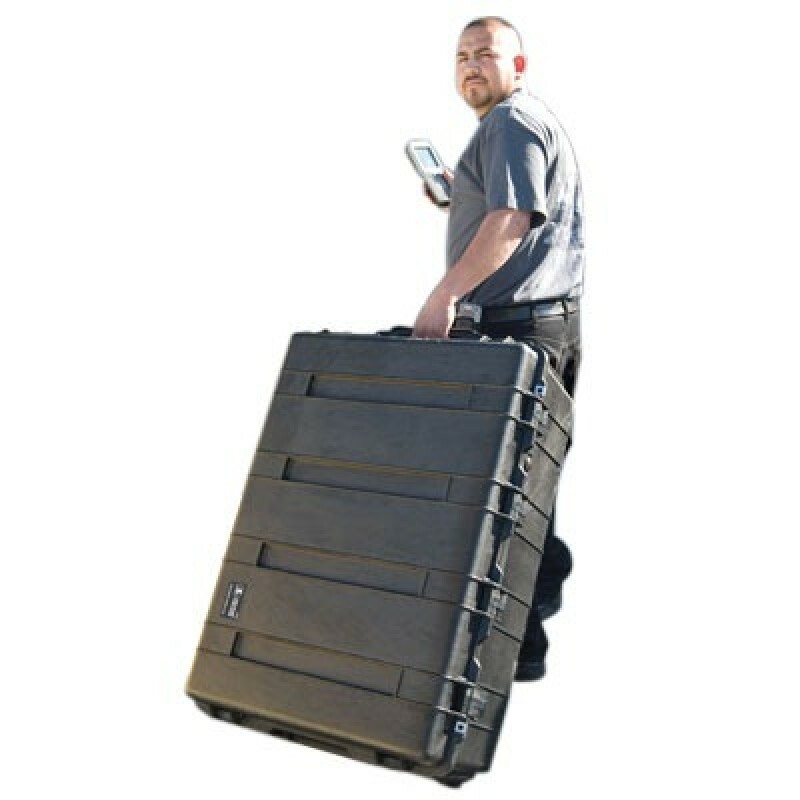 34" x 24" x 12.50"
Like all Pelican Cases, the Pelican's 1730 open cell-core wall, polymer construction protects sensitive equipment from some of the harshest conditions on Earth. Additional standard features include a lid equipped with a polymer o-ring for a dust and waterproof seal and dual action latches that have been tested to withstand nearly 400 pounds (but to open with a light pull). Genuine Pelican waterproof cases are fully stackable for optimal space efficiency. 34.00" x 24.00" x 12.50"
37.05" x 27.20" x 14.37"
Pelican's Pick 'N' Pluck optional foam insert lets you customize the interior according to your gear. An easy, do-it-yourself system for the interior of the case according to your equipment. Layers of foam are prescribed in tiny cubes. Simply measure your equipment over the foam insert grid and pluck away. Contents stay in place and get extra protection at the same time.